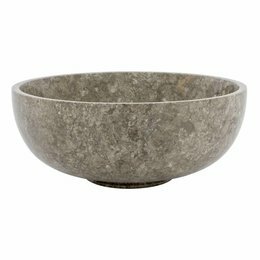 This very beautiful Fruit bowl of River Stone is with its Diameter of 40 cm large enough to put fruit on for the whole family. Beautiful Fruit bowl with foot made out of Black Marble. With its Diameter of 40 cm it is large enough to put fruit on for the whole family. This very nice Fruit bowl made of Black Marble with its Diameter of 40 cm is large enough to put fruit on for the whole family. 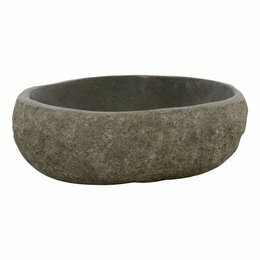 Beautiful Fruit bowl with foot made of Gray Marble with a Diameter of 25cm and a Height of 13cm. 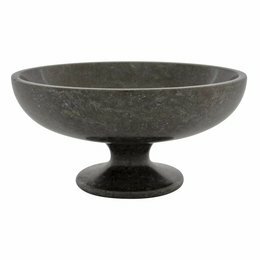 Beautiful Fruit Bowl with foot made of Black Marble with a Diameter of 25cm and a Height of 13cm. 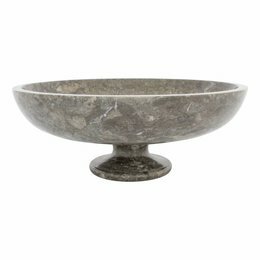 This very nice Fruit bowl of Gray Marble is with its Diameter of 40 cm large enough to put fruit on for the whole family. 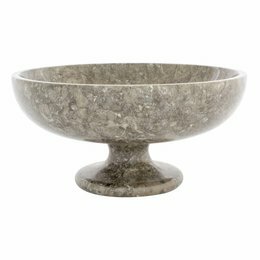 Beautiful Fruit bowl with foot made of Gray Marble with its Diameter of 40 cm it is large enough to put on fruit for the whole family. 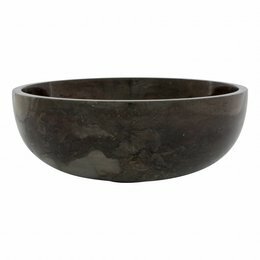 Beautiful Fruit Bowl made of Black Marble with a Diameter of 25 cm and a Height of 10 cm. 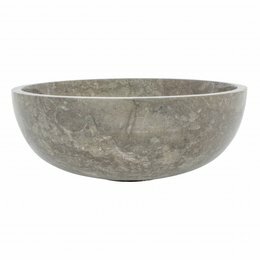 Beautiful Fruit Bowl made of Gray Marble with a Diameter of 25 cm and a Height of 10 cm. 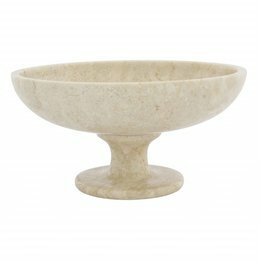 Beautiful Fruit Bowl with foot made of Cream Marble with a Diameter of 25cm and a Height of 13cm. 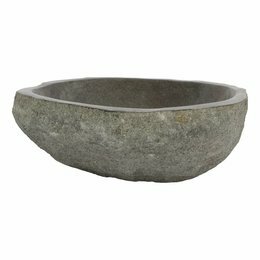 Beautiful Fruit Bowl made of River Stone with a Diameter of 25 cm and a Height of 10 cm. 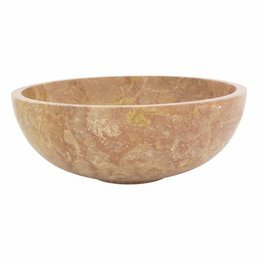 This very nice Fruit bowl from Java Rose Marble is with its Diameter of 40 cm large enough to put fruit on for the whole family. Beautiful Fruit Bowl with foot made of Java Rose Marble with its Diameter of 40 cm it is large enough to put fruit on for the whole family. This very nice Fruit bowl of Cream Marble is with its Diameter of 40 cm large enough to put fruit on for the whole family. 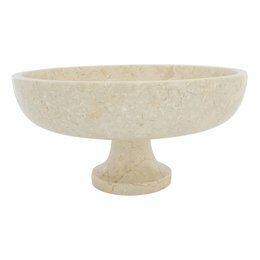 Beautiful Fruit bowl with foot made of Cream Marble with a Diameter of 40cm it’s large enough to put on fruit for the whole family. Beautiful Fruit Bowl of Cream Marble with a Diameter of 25 cm and a Height of 9cm. Marble Fruit bowls in different sizes. Every bowl is Hand Made in Indonesia. 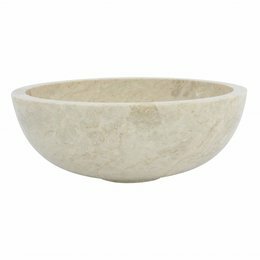 These beautiful bowls give a luxurious look in everyone's home. Currently we have about 20 different fruit bowls in our range. 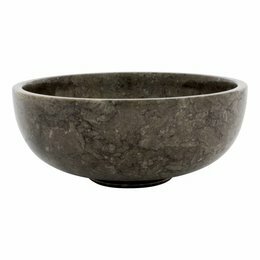 We have bowls of black, cream, gray or red marble, onyx and petrified wood with or without a foot. In our large fruit trays with a diameter of 40 cm you can place up to 45 pieces of fruit and in our scales with a diameter of 25 cm you can place about 25 pieces of fruit. 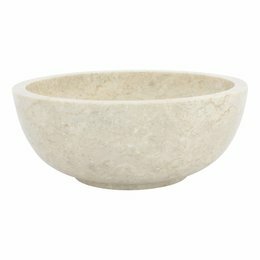 A marble bowl gives a warm and luxurious look to the decor of your home. With marble accessories in your interior you create a warm atmosphere in no time. 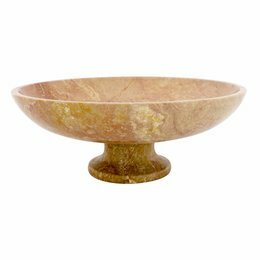 In addition to these beautiful marble fruit bowls, we offer many other decorative items of marble and onyx in our shop to stylishly decorate your interior.